ElectronicKitSchool. - This is one information update from sensor technology news 2017 in this time with the article titled Water-Resistant Pressure Sensor Enables High-Performance Wearables that written by Mathew Dirjish. A first choice for Samsung’s Gear Fit 2 Pro, STMicroelectronics LPS33HW miniature waterproof pressure sensor resists chemicals and salt water. Suitable for use by swimmers, the sensor also stands up to soaps and detergents. Samsung’s Gear Fit 2 Pro is said to be the next generation of sports band, packing features that include GPS, continuous heart rate monitoring, and larger on-board memory for when the user is not connected to a smartphone. In addition to being highly accurate, the LPS33HW has the unique ability to recover quickly after the stresses of manufacturing. According to STMicro, most sensors can require up to seven days to regain maximum accuracy after coming off the production line, but devices containing the LPS33HW are ready for use in less than half that time. This translates into designers getting their products out the door a lot quicker. In addition to wearables, other equipment including industrial sensors and utility meters can enlist the LPS33HW. The 10-bar pressure sensor can withstand being submerged up to 90 meters, and its RMS pressure noise figure of 0.008 mbar allows apps like an altimeter, depth gauge, or weather monitor to deliver consistent and stable results. The sensor accuracy drifts by less than ±1mbar per year. When soldered to a circuit board during product manufacture, the accuracy is affected by less than ±2mbar, and returns to normal after less than 72 hours – significantly quicker than similar water-resistant pressure sensors. 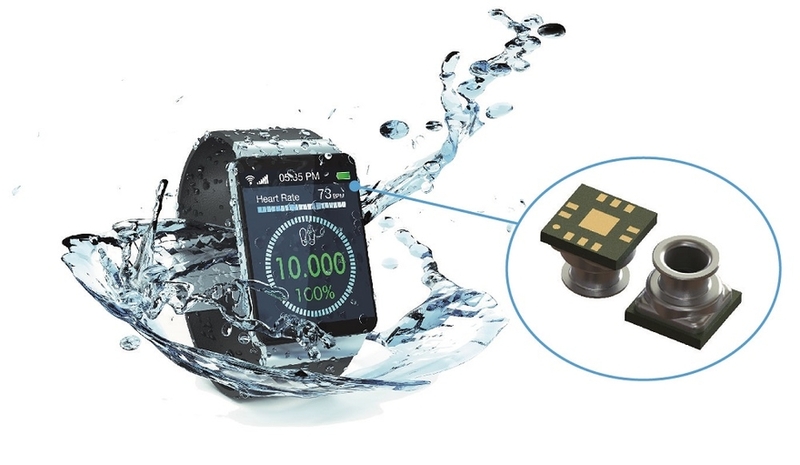 And now you read more about Water-Resistant Pressure Sensor Enables High-Performance Wearables by Mathew Dirjish from original source using link HERE.